Sure, we're often quick to pounce on the season's latest trends, but model-turned-social entrepreneur Amber Valletta knows that great style doesn't have to come at the expense of responsible manufacturing. With the launch of her own online store, Master & Muse in partnership with Yoox, Amber has sought out brands, artisans, and designers who are courageously exploring innovative ways to design, source, and manufacture clothing — so you can move forward, too. Fashion trends come and go. We see it all the time. I certainly have. I’ve been in the fashion world for 25 years, and in that time, bell bottoms, blue eyeshadow, and boyfriend jeans have all had their moments. I love the cyclical nature of fashion, especially when something I’ve cherished comes back into fashion yet again. But, I want to tell you about a new trend I see on the horizon — one that's close to my heart and that I can wear on my sleeve. It may only be a whisper right now, but it is growing louder by the day. Take off your shirt. I mean it. Take it off, and turn it inside out. Tell your boyfriend to stop staring and go back to watching The Walking Dead — you’re doing something important here. Now, look at the label. What's the brand? Where was it made? What contents are in your shirt? Who made your shirt? Simple questions, yes. But often, those answers might surprise you. This trend will allow you to put that shirt back on, and feel a whole lot better in the process. What is it? Responsibly made fashion. It may not be the coolest title for a trend, but responsibly made fashion describes what is in store for the future of our clothing — and by definition, that is modern and cool. Responsibly made fashion means looking at our style choices through a new lens. The old way of looking at ourselves found us asking only, “How does this shirt look?” This new trend asks us to add another question: “How is this shirt made?” You’ll look at each step in the manufacturing process, from the raw materials that go into the fabric, to the workers who make our clothes, to the brands that market and sell these fashions, to the health of our environment and ourselves. As we bridge the old gap between style and substance, we will necessarily begin to care as much about the making of our clothes as we do about our appearance. To understand why it matters, let’s look at some of the ugly patterns we’ve become accustomed to over the years, and how our newly identified trend will help us reverse them. We think of our clothes as disposable. They are not. Textile waste (and post-consumer textile waste) in the fashion industry is an enormous problem. It's clogging our landfills and harming our environment. 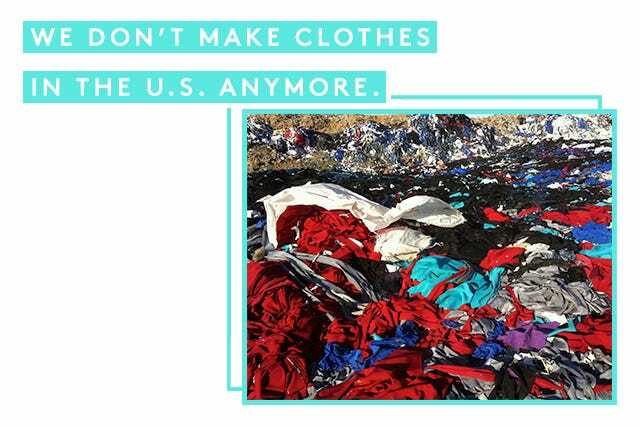 According to the EPA, the average American throws out about 70 pounds of unwanted clothing, shoes, and other textiles per year. That accounts for an estimated 28.6 billion pounds or more than 5% of the total waste we generate. About 15% of fabric intended for clothing ends up on the cutting-room floor. 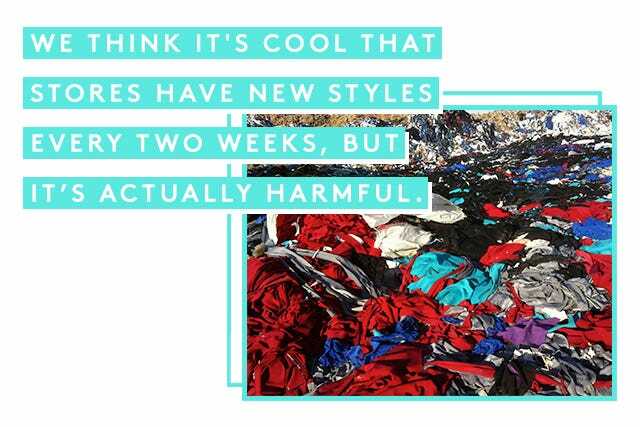 Up to 95% of all this textile waste could be reused or recycled — but sadly, it's not. So, what’s the responsible solution? Purchase timeless pieces that will last season after season. Repair them when needed. Donate your clothes and shoes that you no longer want to your favorite charity. Or, bring them to an ICO bin at specific retailers, such as H&M, Puma, and The North Face, who will accept any brand in any clean condition and give the pieces new life. Whatever you do, DON’T put them in the trash. Clothes aren’t disposable anymore. 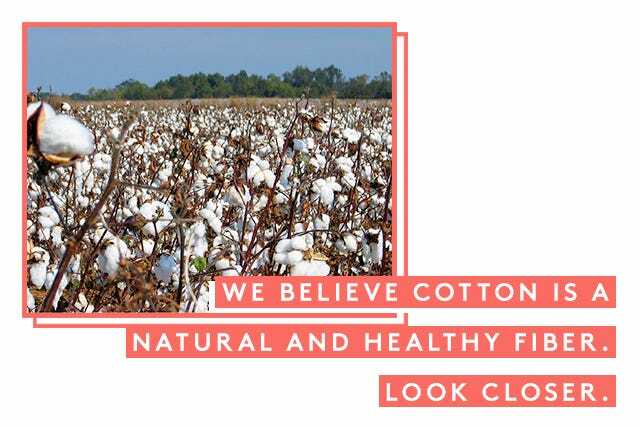 We believe cotton is a natural and healthy fiber. We need to look closer. Conventionally grown cotton is one of the most heavily sprayed plants in farming. Less than 3% of the world’s agriculture is cotton, but it uses almost 10% of the carcinogenic pesticides and up to 20% of the most toxic insecticides. Our skin is our biggest organ, and we can wind up absorbing those chemicals when we wear those clothes. 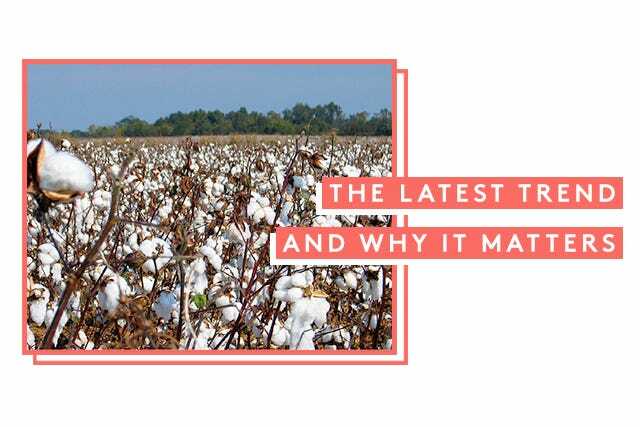 And, 90% of conventionally grown cotton is genetically modified. We do not know the full impact of these GMOs. In fact, 60% of a cotton plant goes back into the food stream, which means we are literally eating it. If you are worried about GMOs in your food, you should be worried about them in your clothes. The responsibly made fashion solution: Buy certified-organic cotton. Seek out brands that are using sustainable fabrics. For example, recently I became the model for H&M Conscious Collection, and was excited to learn that H&M is one of the biggest buyers of organic cotton in the world. 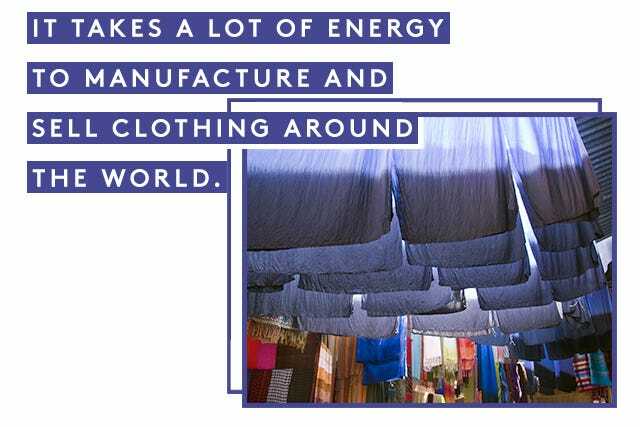 It takes a lot of energy to manufacture and sell clothing around the world. The global clothing and apparel industry is a $577 billion industry and accounts for 10% of the global carbon footprint. More than one trillion kilowatt hours are used every year by the textile industry. Most of the companies using these resources are not giving back to the earth by investing in energy-saving technologies or paying to offset the energy that they can’t reduce. The responsibly made fashion solution: Write to fashion brands and companies to let them know that you want them to reduce their energy usage. Ask them to use clean energy by building solar factories or purchasing renewable energy, and to offset what they can’t reduce. Become carbon-neutral. And, if they don't answer? Stop purchasing their products. 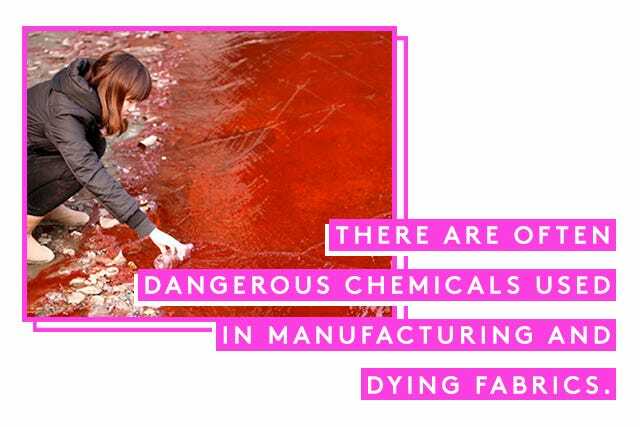 There are often dangerous chemicals used in manufacturing and dying fabrics. Many familiar brands use chemical and dyes in their clothing that are known to be toxic. 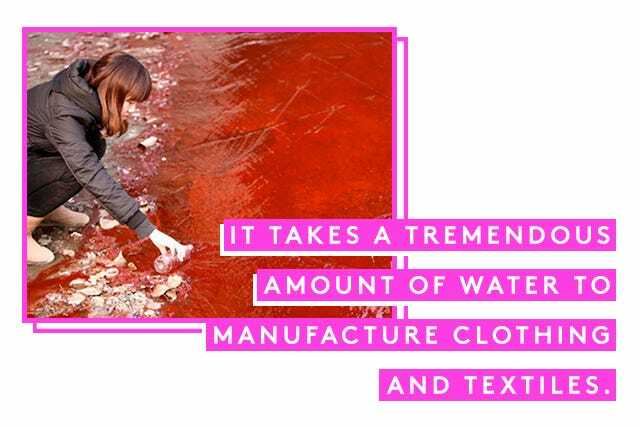 Greenpeace International’s Detox Campaign exposed this when they purchased clothing from stores by famous brands, washed the clothes, and tested the water from the wash. The results are shocking. The responsibly made fashion solution: Read the Greenpeace Detox Report. Educate yourself on the dangers of these chemicals and ask your brands to do better — insist that they find better ways to make their products. Seek out designers that are using non-toxic and natural dyes. Bamboo is not a sustainable fiber — though it is sold as one. Bamboo can be a sustainable source for flooring; however, enormous amounts of chemicals are needed to break down the bamboo bask fiber to turn the plant into a fabric. This happens to such a degree that there is very little trace of bamboo left in the textile. 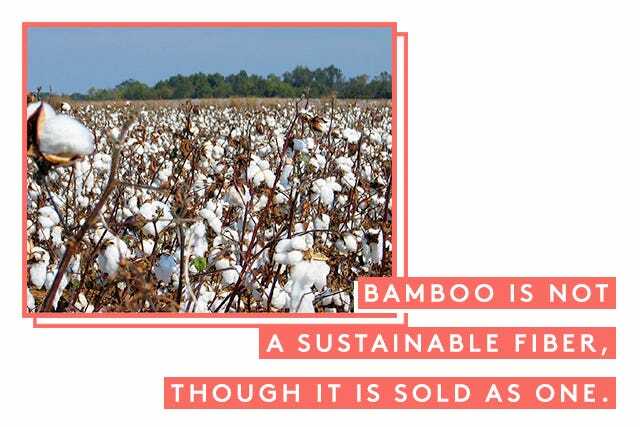 The responsibly made fashion solution: Ask the brands using bamboo textiles to find other sustainable options. Also, be aware of greenwashing, which is when companies aim to deceive their consumers into thinking their products or practices are environmentally friendly when they're not. It takes a tremendous amount of water to manufacture clothing and textiles. Fashion is the second largest user of water after agriculture. It takes more than 700 gallons of fresh water to make one cotton T-shirt. To put that in perspective — a typical bath takes 70 gallons of water. The textile industry is responsible for producing 2.5 billion tons of wastewater per year, and 20% of industrial fresh water pollution comes from textile treatment and dying. In China, you can tell the color of the season by looking at the color of the rivers next to the garment factory. The responsibly made fashion solution: Look for companies that are trying — with success — to reduce their water usage in manufacturing. Ask those that aren’t talking about their water usage and contamination to do so. Again, if you're ignored, use your purchasing power to stop buying their products. 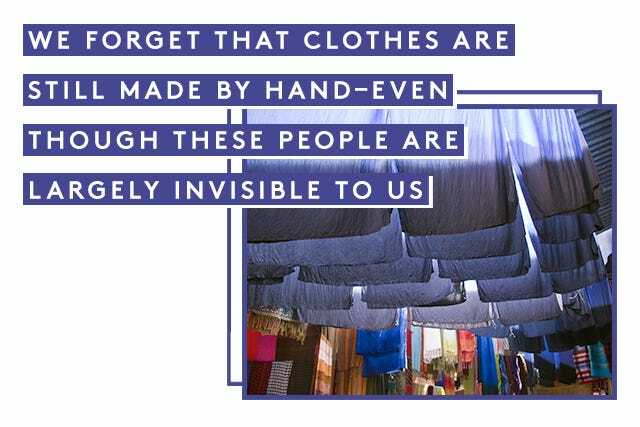 We forget that clothes are still made by hand — even though these people are largely invisible to us. With the clear intent to decrease costs, many fashion brands have sent production over seas. In these countries, there is often no meaningful protection for the workers, who have reported being exploited, beaten, and threatened to comply under often horrific working conditions. Last year, 1,127 people died — the majority of them women — when Rana Plaza, a garment factory in Bangladesh, collapsed. Warned of the unsafe building conditions, the factory managers ignored the signs and forced their workers to keep slaving away. These women and men paid with their lives. The responsibly made fashion solution: Ask who made your clothes. Understand that a person’s hands helped weave your shirt together. Write your representatives in congress and ask them to set standards to protect global workers’ rights. Read your labels and keep asking these important questions. We think it's cool that stores have new styles every two weeks. But, it’s not cool; it’s actually harmful. Pressure to meet costs and unrealistic deadlines are hurting hardworking and desperate people. To meet these production deadlines, 17-hour days become the norm, and the poor workers still don’t have enough money to feed themselves or their families. These and other unacceptable working conditions exist for many laborers in third-world countries working for the garment and textile industry. The responsibly made fashion solution: Think about what Gandhi said: “There is no beauty in the finest cloth if it makes hunger and unhappiness.” Make your purchasing decisions with this in mind. You can change the world by buying better. Write your congressional leaders to ask for more governance regarding international workers' rights. Stay informed and support organizations like the Institute for Global Labour and Human Rights. 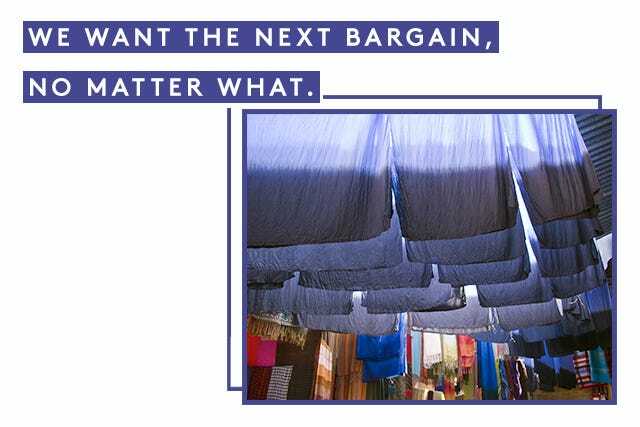 We want the next bargain, no matter what. We have to start doing the math. How can a T-shirt manufactured across the world cost only $4.99? Someone must be paying for that shirt, and it’s not the designer or the consumer. More often than not, it is the invisible workers in poverty-stricken countries. According to Charles Kernaghan of the Institute for Global Labour and Human Rights, in the making of a well-known brand’s $22 child’s sweatshirt, "only $0.08 went to the worker." That’s right, only eight cents. When working families don’t have enough money to feed their children and have opportunities for a better life, we have to start paying attention and doing better. The responsibly made fashion solution: Join Fashion Revolution Day on April 24 and wear your clothes inside out in honor of the worldwide workers that make our clothing. We don’t make clothes in the U.S. anymore. The clothing and apparel industry is a $339 billion market in the U.S. and only 2% of those consumer goods are manufactured in the U.S. We need to start buying locally. The responsibly made fashion solution: Support brands that are made in the U.S. Only by doing so can we offer more protection for workers and laborers. Bring manufacturing back to the U.S. Support NYC's Garment District and locally made fashion. I agree that it’s not a comfortable topic, but it's important to fully understand how your clothes are made. Now that I do, I take the time to talk to the brands that I work with as a model and spokesperson to inquire what their sustainable practices are and how I can support them in a more responsible direction. We are all in this together and have to face yet another inconvenient truth — the path we are currently on in the fashion world is harming ourselves and our planet. There is no debating that these issues are complex. There are many innovative designers and brands developing beautiful, covetable, and alternative ways to source, design, create, and sell fashion. There are designers, some familiar, some new, that are using ingenuity, craftsmanship, and discernment to move fashion forward. But, we shoppers have to do our parts as well — by demanding responsibly made fashion, we can buy better and be fashionable at the same time. The bottom line is that responsibly made fashion is an affordable trend we can’t afford to deny any longer. Who doesn’t want a better world where everyone benefits and we aren’t causing unnecessary harm to our environment and fellows? Fashion thrives on beauty, newness, and change: Let’s change our clothes and trends for the better. The time is now. We can’t wait for next season. Start buying better and smarter today and become a leader in a trend that just might last for a very long time. To find out more about Master & Muse, click here.